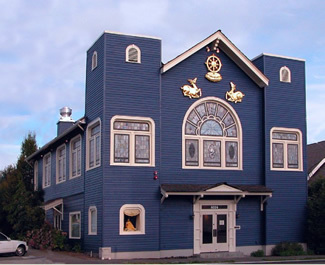 KMC Washington is a haven in the Emerald City of Seattle where anyone can come for refuge or just a few moments of relaxation. Upstairs the beautiful shrine provides a focus for faith, serving as a continual reminder of the Buddhas. The meditation room offers a peaceful and beautiful space for classes, workshops, group meditations, or individual contemplation. Downstairs the Temple has a community room where people gather after classes and events to discuss teachings, get to know fellow students, meet the Teacher, and enjoy refreshments. The Center is supported by a warm and dedicated community of students who work hard to make the Temple’s events and activities possible. Resident students live in two houses adjacent to the Temple. Dharma students who wish to share a home with others practicing Buddha’s teachings can apply for rooms as they become available. 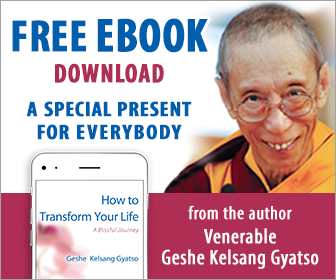 The bookstore features the books of Geshe Kelsang Gyatso. Through his kindness Western readers now have access to Buddha’s teachings at whatever level they wish to practice. Though these books are based on the ancient texts of great Buddhist Teachers, they are clear and accessible to modern readers and have been translated into numerous languages. In addition, our bookstore carries prayer booklets (sadhanas), CDs, posters, statues, prayer beads, postcards, and other beautiful items.